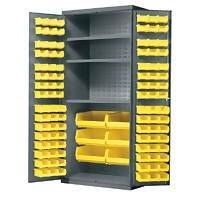 Akro-Mils cabinets are perfect for protecting parts and products from dust, damage, and theft. 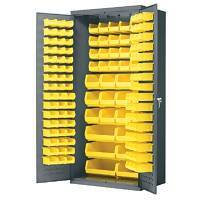 Each cabinet comes fully assembled and ready to use. 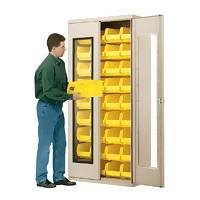 Choose from models featuring solid, quick-view, or secure-view doors. 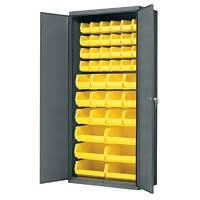 All cabinets are lockable and come with two keys. Cabinets have a baked enamel finish. 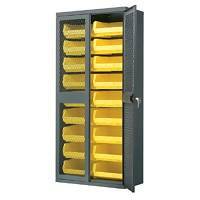 Bins for prepackaged units are yellow and shipped in cartons.